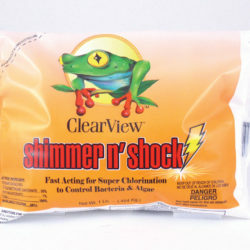 This winter cover is built to last! Constructed of our strongest and most tear resistant material. 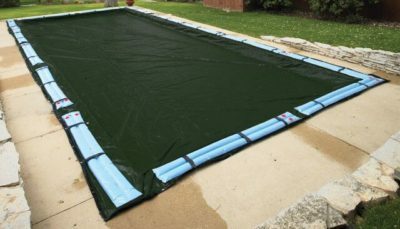 This cover features UV stabilized woven polyethylene scrim the protects the cover form sun, snow, wind and ice, It features a black underside to retard algae growth and heat sealed seams to ensure a crystal clear pool next spring. Our Gold cover comes with loops every four feet to secure water bags and corner grommets to allow for extra tie down in windy areas, The cover is 5 feet longer and wider then the pool size and is backed by a 15 year warranty (3 years full rated). Invest in a quality cover this fall with Arctic Armor Gold. Our Artic Armor Gold covers are manufactured with Exclusive 3 Ply Reinforced Materials not found in any other cover on the market.